Congratulations to Jeanette J., the winner of the Rafflecopter contest! 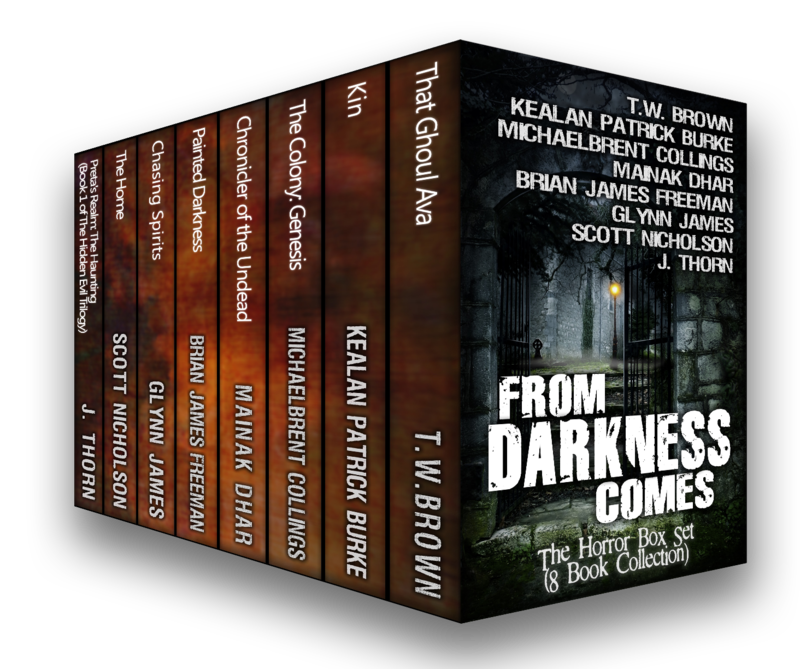 You’ll be receiving a signed paperback from each author in the From Darkness Comes box set. We appreciate all of those who entered and thanks to everyone who left a review on Amazon. 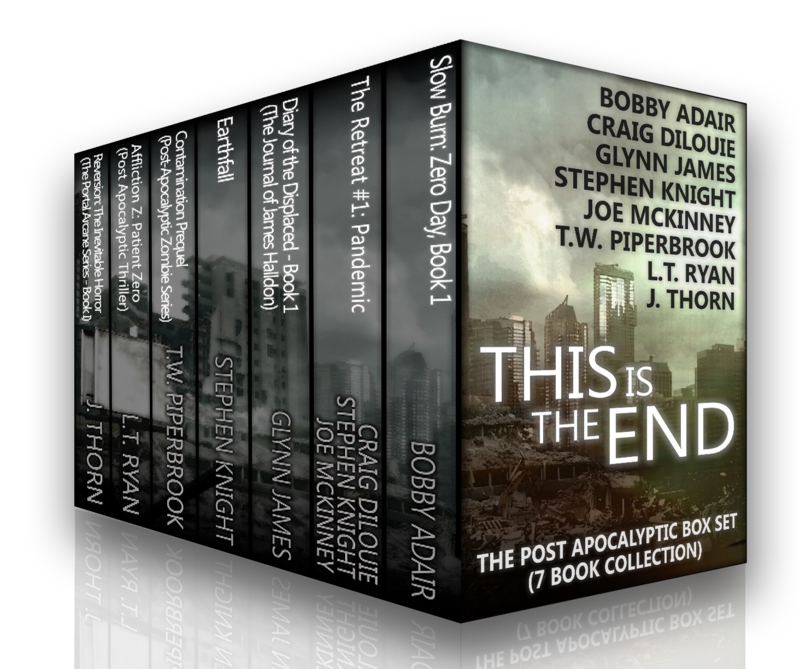 In related multi-author box set news, This Is The End 2 published on Friday and it includes some of the best authors out there today. 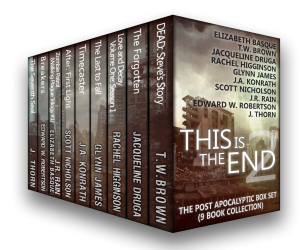 For less than a dollar you get 9 titles from 10 incredible authors including, Elizabeth Basque, T.W. Brown, Jacqueline Druga, Rachel Higginson, Glynn James, J.A. Konrath, Scott Nicholson, J.R. Rain, Edward W. Robertson and J. Thorn. Make sure you sign up for my mailing list (below or up there in the top right corner) as I have some really cool things in the works. And if you don’t like my emails you can unsubscribe so you have nothing to lose. I’ve opened Pandora’s boxes. Well, not exactly. I’ve organized them. The past two months have been an incredible ride for me as an author but I want to tell you about the deal for readers. 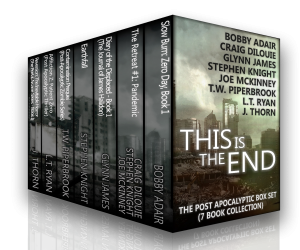 We weren’t the first group of authors to bundle our titles into a single “box set” collection on Amazon and I guarantee you we won’t be the last. The multi-author box set is a collection of individual titles bundled and sold as one “book” on Amazon, usually for a ridiculously low price. For example, the sets I manage sell for $0.99 each which breaks down to about $0.15-$0.20 per title. We take this financial hit in order to reach more readers. I won’t get into the arguments about devaluing one’s work because this post is for readers and readers don’t care about stuff like that. Besides, the boxes are temporary and so we view it more like a sale. The reader gets hundreds of pages and hours of entertainment for less than a dollar. In addition, the boxes are genre-specific so you’re not getting a random assortment of stories. You get exactly what you like to read by authors new to you. The first box, This Is The End published in February and the second, From Darkness Comes in March. This Is The End 2 is coming soon with titles by J.A. 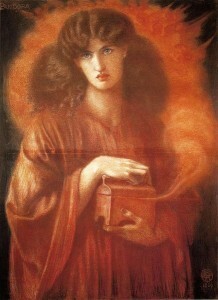 Konrath, J.R. Rain, Scott Nicholson, Ed Robertson, Glynn James, T.W. Brown, Jacqueline Druga, Rachel Higginson and yours truly. These collections won’t be around for long. So far, we’ve sold over 34,000 copies combined which tells us readers love them. In fact, many say they enjoy discovering new authors and have subsequently gone on to purchase more of our individual titles. 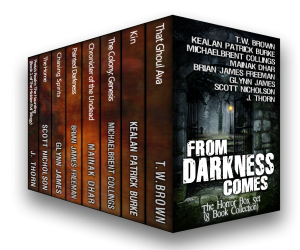 From Darkness Comes has a Rafflecopter that ends in a few days. 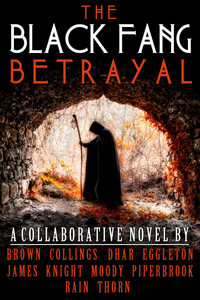 The winner gets a signed paperback from each author. Cool, right? You still have time to enter. If you’ve purchased one of these boxes please leave us an honest review on Amazon. You don’t have to read every book in the collection and the review can be as few as 20 words. This is in accordance with Amazon’s Terms of Service, so we’re not asking you to do anything underhanded. Stock up and enjoy. Summer is right around the corner.